Jordan Brand is looking keen to expand their women’s collection by introducing a brand new Air Jordan 11 Low makeover releasing during the spring season of 2019. This upcoming Air Jordan 11 basically features a combination of White, Black, and Orange Trance color scheme, where White takes on its upper complemented with Orange patent leather overlay. As for now no official or unofficial images have been released but this particular iteration of Air Jordan 11 is said to be further enhanced with a Black lining and an icy translucent outsole. 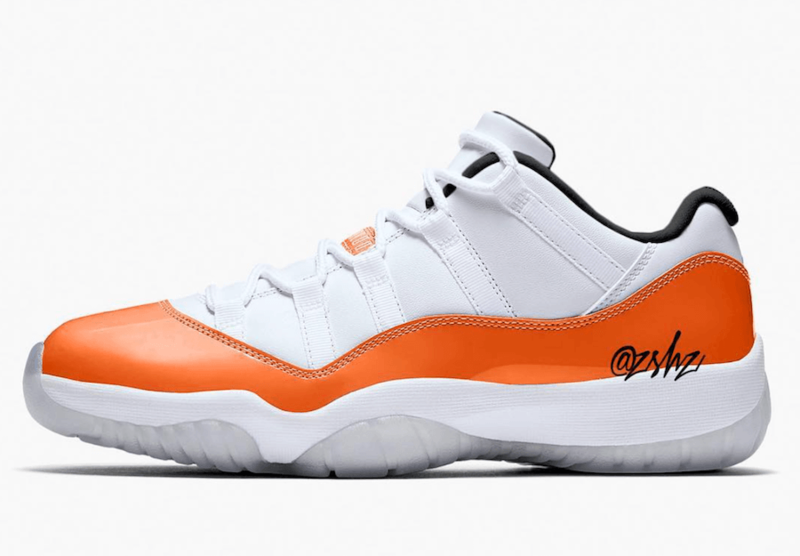 So, check out rendering by @zsneakerheadz of what to expect and wait for this women’s Air Jordan 11 “Orange Trance” to release on 4th of May 2019 at a retailing price of $185.